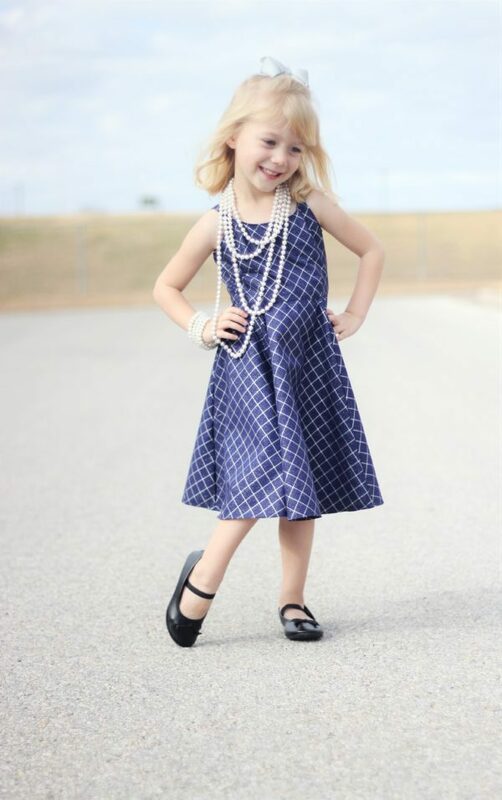 There is also a free ladies version, and an amazing add-on with hi-low skirt, fishtail skirt, romper and shrug options! 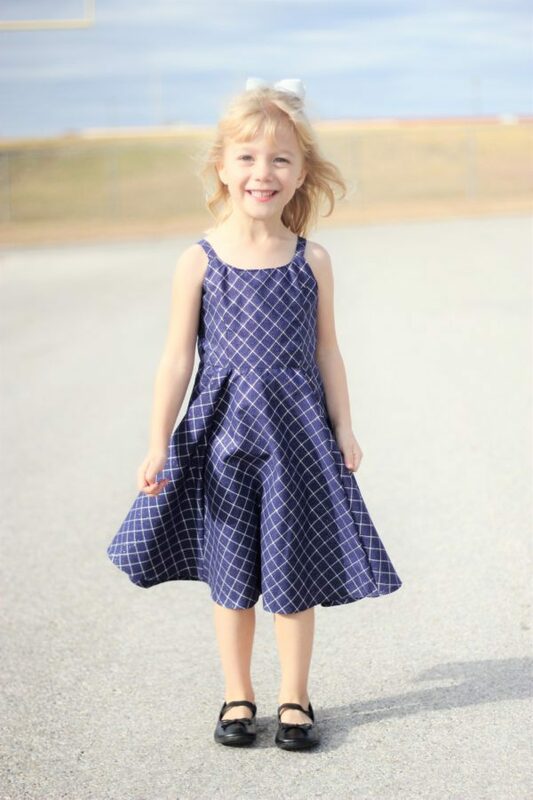 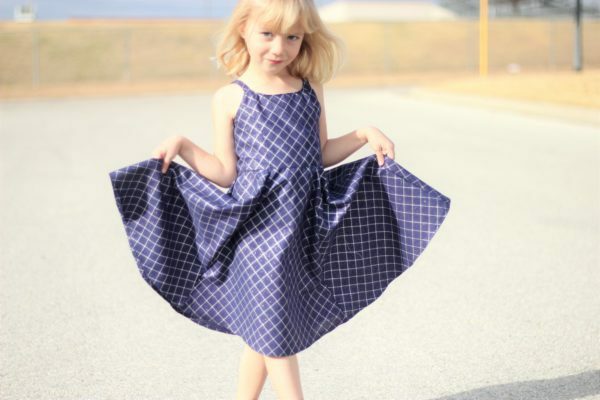 Every year we do a big free girls dress sewing pattern, and this year’s dress is incredibly special! 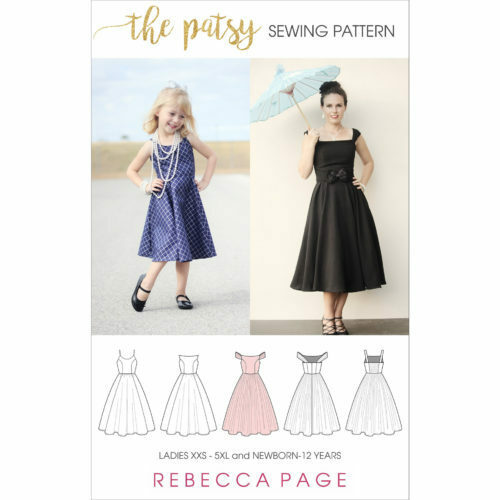 The beautiful, vintage-styled, 2018 free girls dress sewing pattern is the Patsy! 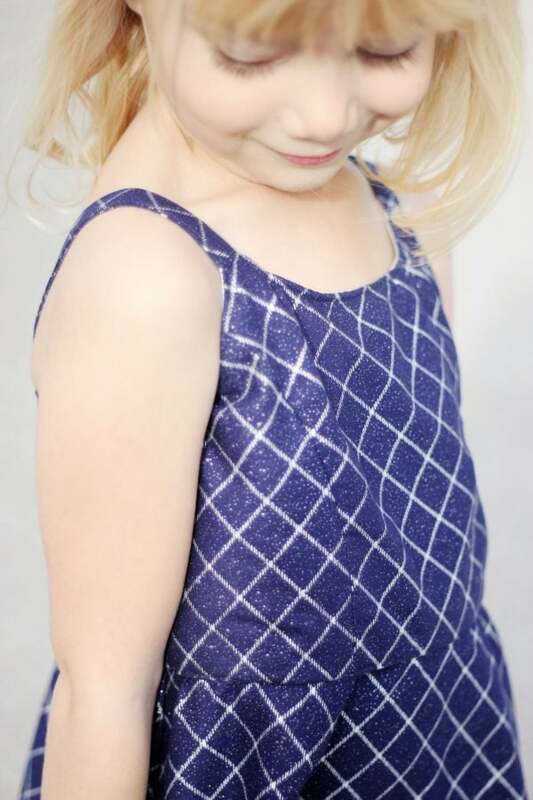 With an elasticated back, girls can pull this on over their heads and you can easily adjust the elastic for personal preference. 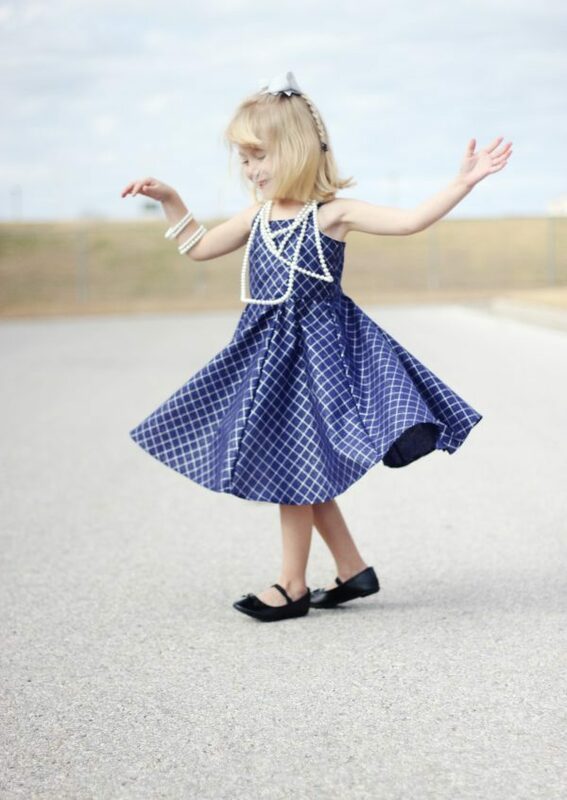 It’s simply sweetness personified and rather twirl-tastic! 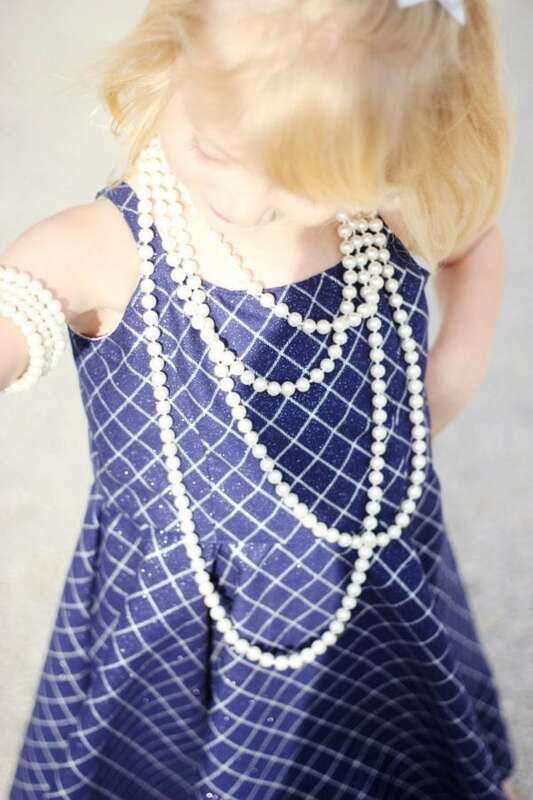 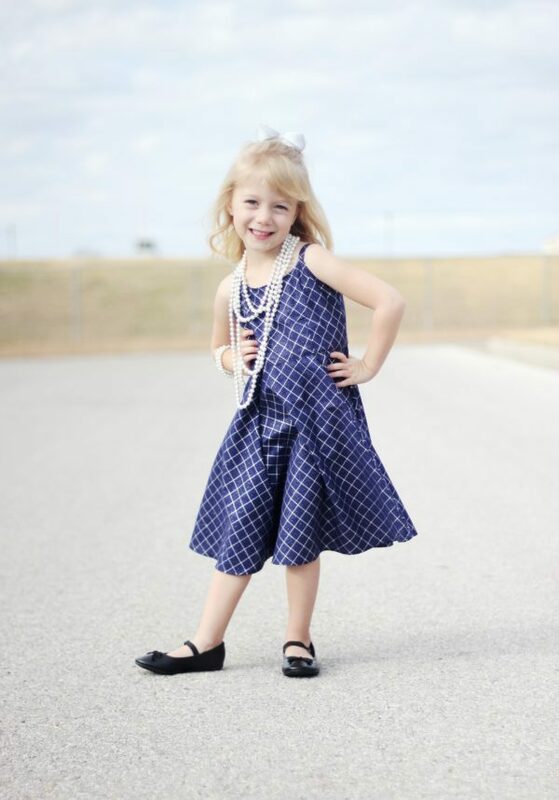 Options – Girls’ options include an elasticated or shirred back bodice. 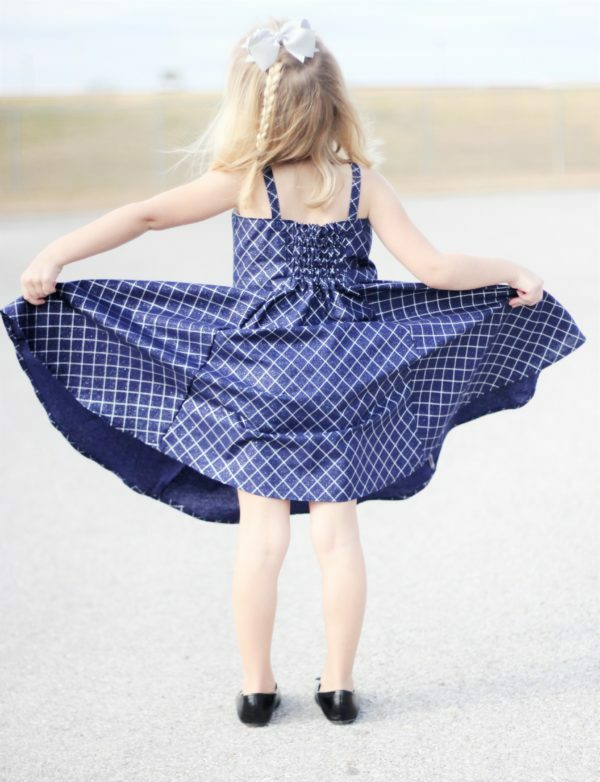 Both ladies and girls can also add an optional skirt overlay for extra glamour. 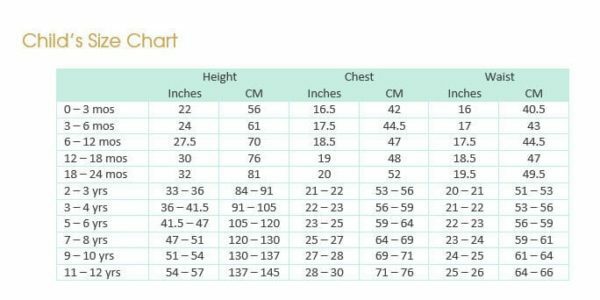 Fabrics – Suitable for medium weight wovens (not suitable for knits or stretch fabrics). 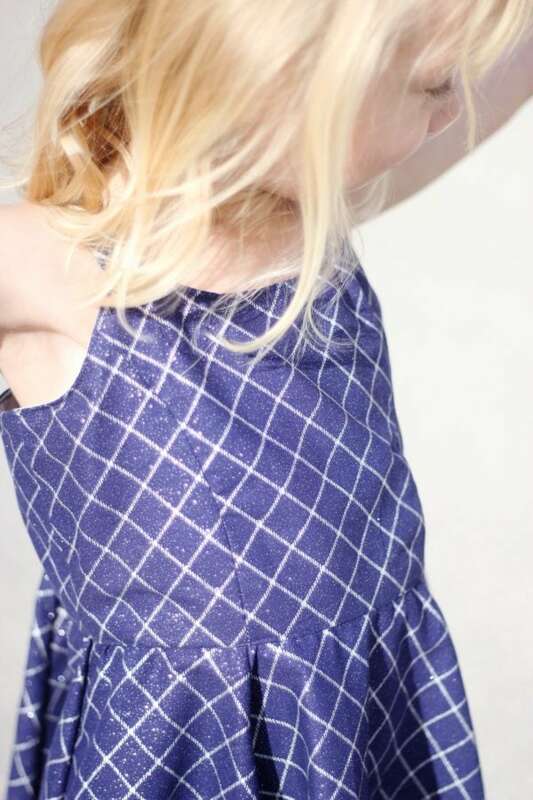 If you use a stiffer fabric, it will give the bodice more structure and the skirt will puff out more. 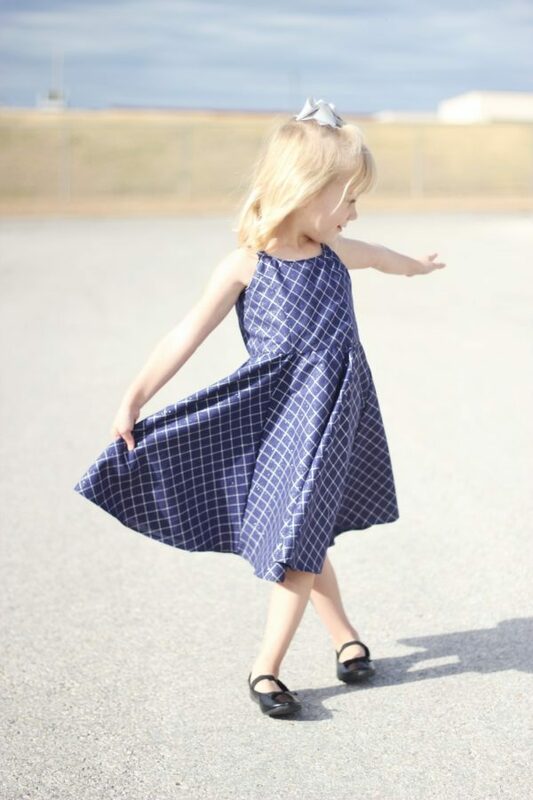 A softer, drapier fabric will result in a softer dress with a swishier skirt. 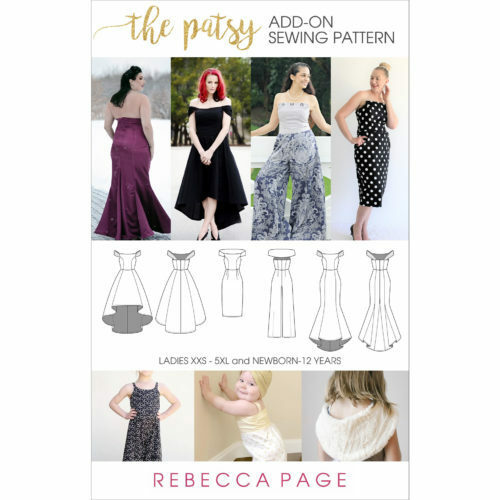 Some excellent suggestions are duchess satin, crepe satin, cotton drill, cotton lawn, taffeta, and velvet.